The miniaturization of biomedical assays is of paramount importance for expanding healthcare access, for reducing healthcare costs, and for expediting biological research. However, biologists and clinicians typically do not have access to microfluidic technology because they do not have the engineering expertise or equipment required to fabricate and/or operate microfluidic devices. Furthermore, the present commercialization path for microfluidic devices is usually restricted to high-volume applications in order to recover the large investment needed to develop the plastic molding processes. We are developing microfluidic devices through stereolithography, a form of 3D printing, in order to make microfluidic technology readily available via the web to biomedical scientists. Most available SL resins do not have all the favorable physicochemical properties of the above-named plastics (e.g., biocompatibility, transparency, elasticity, and gas permeability), so the performance of SL-printed devices is still inferior to that of equivalent PDMS devices. Inspired by the success of hydrogel PEG-DA biocompatibility, we have developed microfluidic devices by SL in resins that share all the advantageous attributes of PDMS and thermoplastics so that we can 3D-print designs with comparable performance and biocompatibility to those that are presently molded. Albert Folch received his BSc in physics from the University of Barcelona (UB), Spain, in 1989. In 1994, he received his PhD in surface science and nanotechnology from the UB’s Physics Dept. During his PhD he was a visiting scientist from 1990–91at the Lawrence Berkeley Lab working on AFM under Dr. Miquel Salmeron. 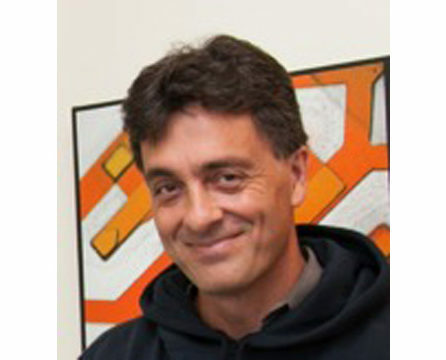 From 1994–1996, he was a postdoc at MIT developing MEMS under the advice of Martin Schmidt (EECS) and Mark Wrighton (Chemistry). In 1997, he joined the laboratory of Mehmet Toner as a postdoc at Harvard’s Center for Engineering in Medicine to apply soft lithographic methods to tissue engineering. He has been at Seattle’s UW BioE since June 2000 where he is an Associate Professor. His lab works at the interface between microfluidics, neurobiology and cancer. In 2001 he received a NSF Career Award and in 2014 he was elected to the American Institute for Medical and Biological Engineering (AIMBE) College of Fellows (Class of 2015). He serves on the Advisory Board of Lab on a Chip since 2006. Albert Folch is the author of four books, including “Introduction to BioMEMS”, a textbook now adopted by more than 68 departments in 14 countries (including 40 universities in the U.S. alone). Since 2007, the lab runs a celebrated outreach art program called BAIT (Bringing Art Into Technology) which has produced six exhibits, a popular resource gallery of >2,000 free images related to microfluidics and microfabrication, and a YouTube channel that plays microfluidic videos with music which has accumulated ~120,000 visits since 2009.